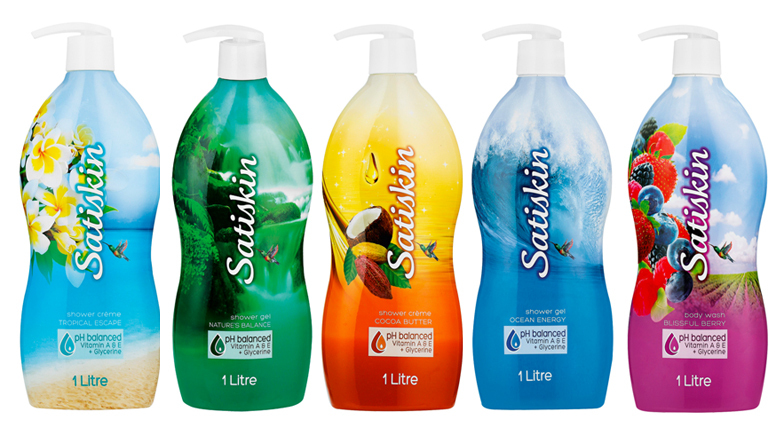 Have you gals heard about Satiskin’s new, mega 1L Shower Gel? I was so excited when this goodie landed on my desk, because let’s face it, having a 1 Litre body gel saves having to stock up on tons of smaller sizes, and you pretty much use it every day – right! I’m surprised that other brands haven’t caught onto the more is more concept when it comes to daily essentials like your shower gel! 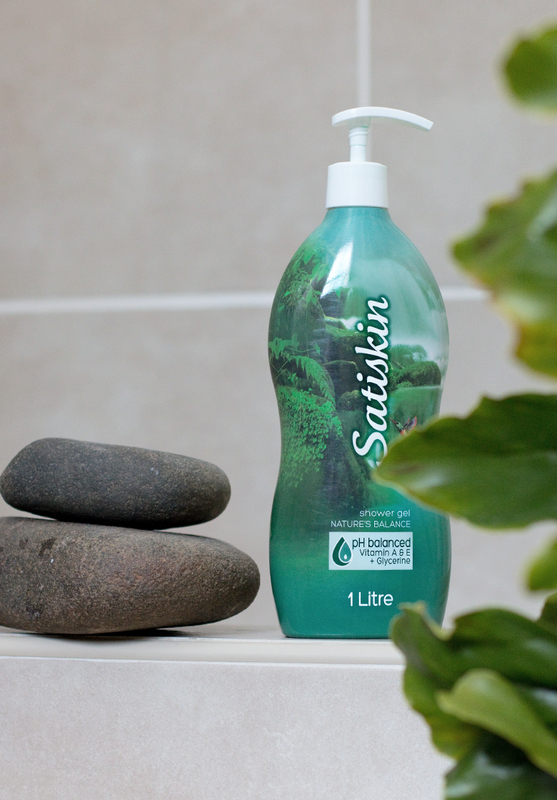 I have to give this Satiskin, Nature’s Balance Shower gel a bit more praise! Although it’s no secret that I love so many of the Satiskin shower gel varieties, this one is so invigorating and makes me feel like I’m showering outdoors – with nothing but the smell of a tropical paradise surrounding me. It’s so good, even hubby likes it because it smells like, well, paradise! I love the fact that it’s loaded with Vitamin A and E, Glycerine and is pH balanced, so your skin feels like it’s been kissed by nature. A great way to start your morning – or wind down before bed if you ask me. 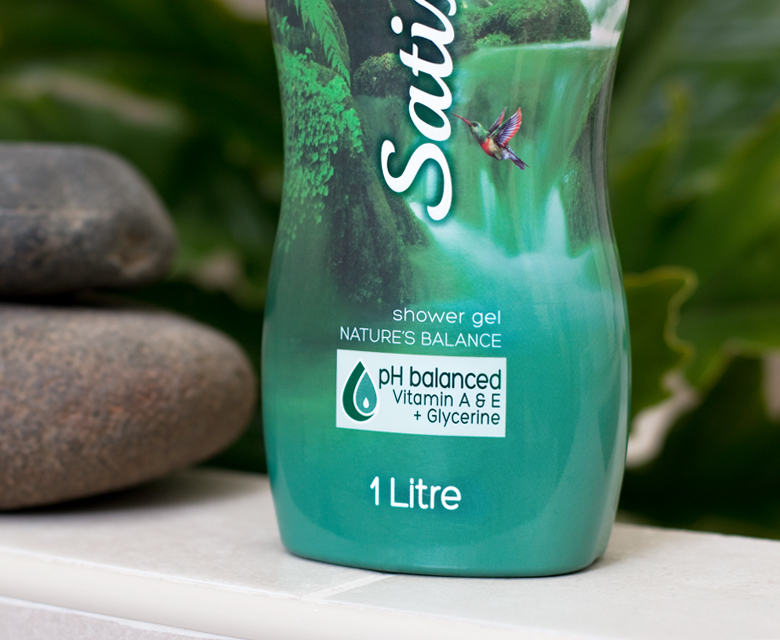 Nature’s Balance is a firm Satiskin favourite, so you might already know and love it! It sounds amazing though… scented to evoke memories of long days on the beach, sweet frangipanis and exhilarating ocean swims. Definitely something I will be longing for in a few months time when winter hits us here in SA. For the time being, I’m quite happy with Nature’s Balance as I feel it’s an ideal variant to get me in the mood for Autumn. I’m also really glad my other favourite, Moroccan Spice is now also available in a mega 1L bottle as is Blissful Berry, Ocean Energy and Cocoa Butter and the best news, the price. They cost only R63.99. As promised, here is the scoop on my super easy body scrub recipe – a perfect treat to keep my skin conditioned for Autumn and Winter, plus it smells and feels heavenly! All you need is a really nice glass jar (to make it pretty), brown sugar and your favourite Satiskin Shower Gel. 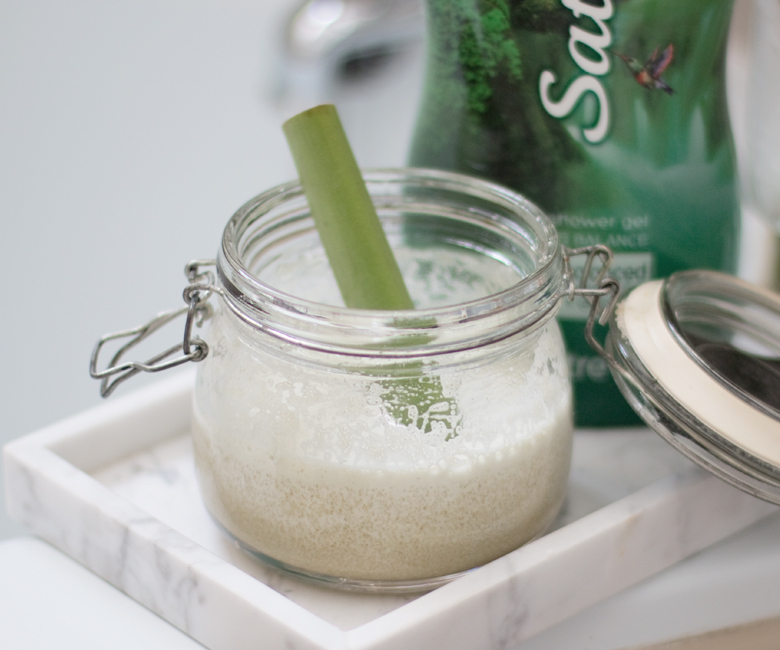 Add 1 Cup of Brown Sugar to the jar as well as 15 pumps of Satiskin Shower Gel and mix away. I told you, it really is that simple! This turns your Satiskin Body Gel into a nice, creamy scrub, and because of how beautifully the Satiskin Body Gel lathers up, it adds more luxury to the scrub. So scrub, wash and moisturise – done in one step. Who needs to visit the spa when you recreate the spa experience at home?